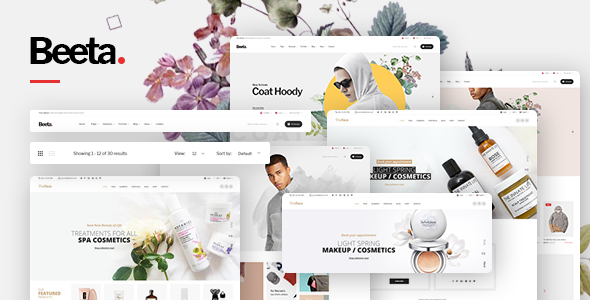 Beeta v1.0.2 WordPress Theme is a great theme for stores, cosmetics, clothes and accessories. Easy to configure theme, font, background with Visual Composer Theme Options and quickly create page content. Beeta 's layout is simple and luxury with a white background, black text, dark footer. Create slider products quickly and easily with Slider options in the admin panel.